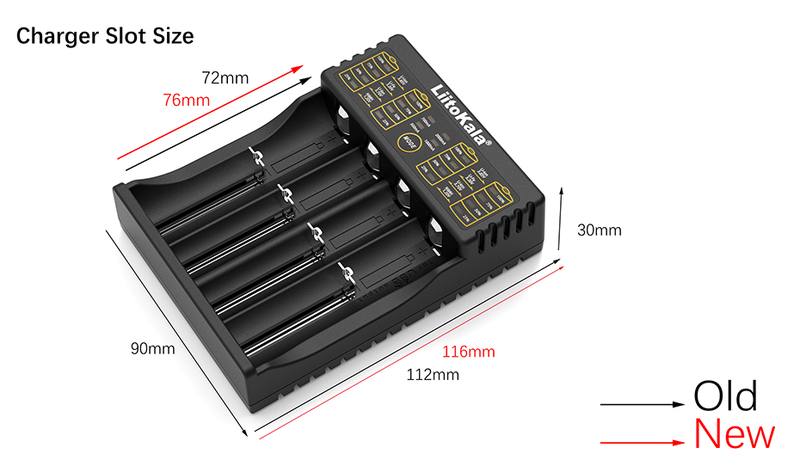 The new Lii-402 and the new Lii-202 charger will be available from April. Production of the old Lii-402 and Lii-202 charger will cease. The new charger will continue the old charger function. Just make the size bigger. The battery compartment was changed from the original 72mm to 76mm. The overall length has been changed from the original 112mm to 116mm. The width and height are the same. This change is for a better fit for the 21700 battery.